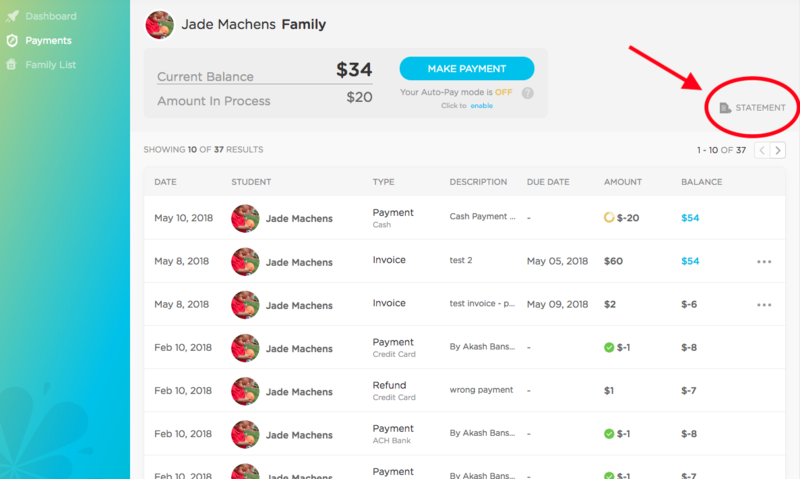 You can easily view and print all of your transactions with your childcare provider by logging into the Kinderlime website. After logging in, click on "Payments" in the lefthand menu. From there, you'll see a page that lists your invoices and payments. The button for pulling a PDF statement is circled in red above. This will give you a date range to choose from, going up to a 12 month period. 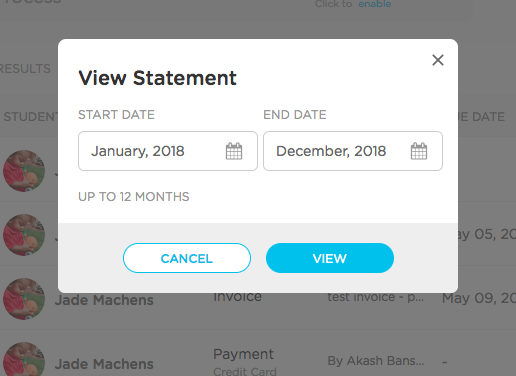 After selecting your desired date range, press "View." From there, a PDF will appear on your browser, which you can then download and print out as needed.